Welcome to this weeks tecky tuesday, if this is your first time reading my more technical posts, welcome! These posts look in to the more advanced aspects of blogging from coding for your blog to add features, what to think about when writing and creating a post. Last weeks post I looked at how you install Disqus on your blog. This weeks post will be the first in a four part series of posts outlining and reviewing techniques to start making money from your blog. In the past few years there has been a huge increase in the amount of bloggers, this is both a good thing & bad thing. It means that there are now more and more companies reaching out and offering ways for you to monetize your blog. Some are great but some are really bad. I will be showing you things in the past that I have used to monetize my blog and how I feel about each service. This doesn’t mean I always think all blogs should be monetized. There are a lot of people that will create content for no other means than satisfaction from getting comments or knowing that people are reading your blog. I personally started looking into ways to start making money as I wanted to break even on my blogging as I had a self hosted wordpress blog, and thought it would be great if it could pay my hosting bill. From there I have built my understanding of making money from your blog to where it is today. I thought that I would share this knowledge with my readers, as I know a lot of you have blogs and I get a lot of the same questions emailed or tweeted to me almost daily. My mini post series over the three weeks will look at different advertising services and affiliate programs. 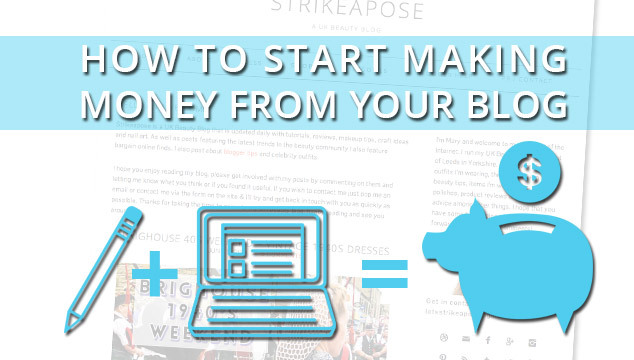 It will look at how to start a money making blog correctly from the get go. I would love to know if they are any companies that you would like me to comment about in next week’s post on advertising services, or if there is anything that you would like me to write about in particular in relation to making money from your blog posts. I look forward to hearing your views and responses. If this proves to be a popular idea I might bring my tecky tuesday post forward ^.^ Remember to like and tweet anyone that you think might find this post of interest, and let me know if you would like me to comment about any particular companies below. Interested in making money trading bitcoin? visit day trading bitcoin and find out.